Oh, my goodness. I am on turquoise over load. 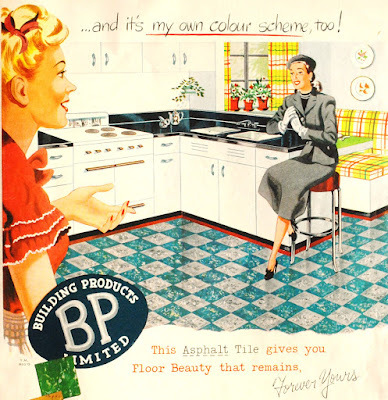 Look at those dazzling checker floors. With the white steel cabinets. Black Formica counter tops. What I really love are those turquoise tile floors. Then as I look around, to see what kind of decorating choice that were made... I see that wonderful eat in area... in yellow and green plaid! 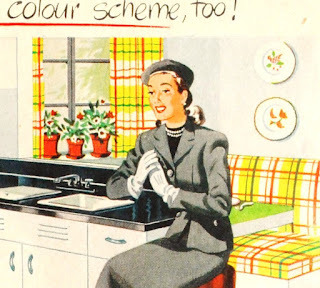 I have never lost any of my love for the vintage yellow and green kitchens. 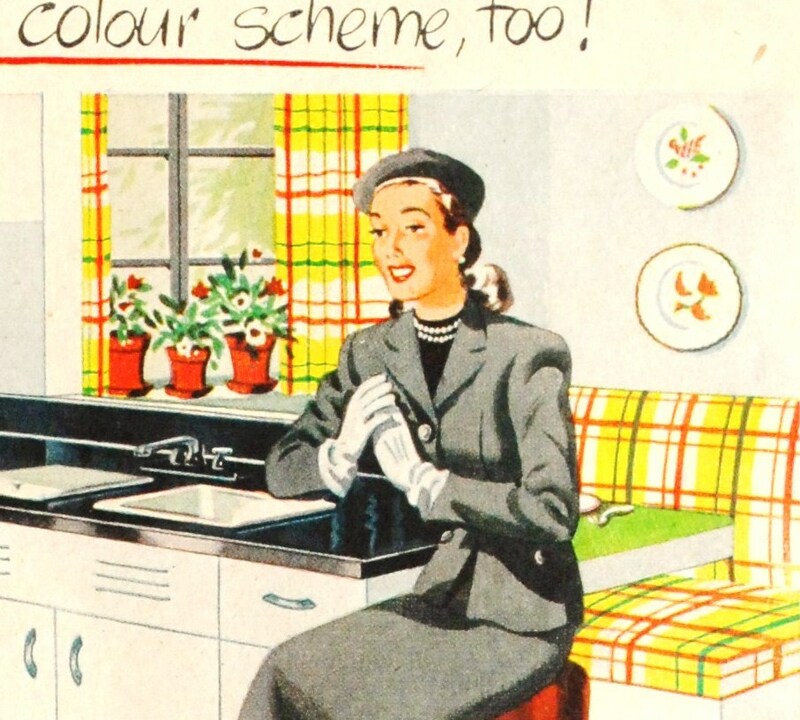 What is more amazing, is how decorators were not afraid... of using multiple bold colors in a small kitchen. Which can not be said for today's decorators. Whom are determine to use fifty shades of brown, in every room in the house. Isn't that the truth on your comment of Fifty Shades of Brown. I don't know if I care too much about the walls and floor together, though. I will take the floor, even though I am not too into Turquoise.